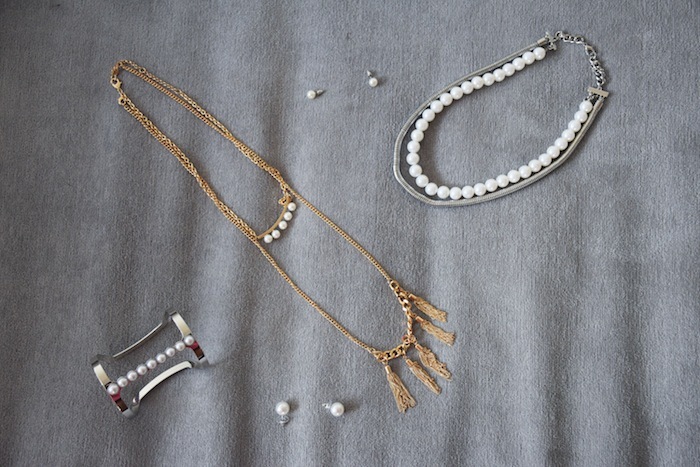 My month made better with these new accessories which are pretty much the most edgy spins on a classic piece--pearls. I've been wearing these out often--to shop, to go run errands, even to go apple picking. I'm kind of obsessed with how versatile these pieces are and how they pretty much go with everything. The gold necklace with the fringe is even detachable so you can wear the top portion of the pearl necklace with the bottom fringe necklace or separate if you'd like. Check out the Sunset 45 shop, and try out a monthly subscription for $20! The jewelry theme each month changes! Or if you see a specific piece of jewelry you like, you can shop the site and get 15% off your purchase using 'BETA15', and get a free surprise gift!